Formal contracts are essential to protecting your company's best interests during a business transaction. Despite careful formation of agreements, contracts, warranties and employment practices, businesses and individuals often find themselves entangled in a variety of disputes. When conflicts arise, there is no substitute for experienced legal counsel to guide you in resolving points of contention. Whether you are negotiating the purchase of real estate or hiring an executive, our skilled business attorneys can draft the appropriate contract and ensure that your company is protected. To discuss your business transaction with an experienced attorney, call The Wortham Law Firm in Dallas, Texas, at 972-744-0445 or contact us online. We offer free initial consultations. The Wortham Law Firm has broad experience in a wide variety of general business and commercial transactions. Our attorneys assist clients with their business planning, entity structuring and many operational, employment, transactional and contractual matters that arise in their businesses. We advise our clients regarding financial alternatives, intellectual property, employee compensation plans, mergers, and asset purchase and sale agreements, from both the purchaser and seller's perspective. Our attorneys are here to protect your interests, from the purchase of your business to operational transactions, and to the sale of your company. 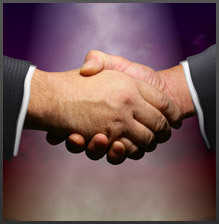 Many of our business clients first come to us when they are ready to purchase or form a business entity. As the relationship grows, we become a trusted legal resource for them in many other areas. Hiring an experienced business attorney can save you time, money and future problems. If you are searching for a lawyer who is dedicated to achieving optimal results in a cost-effective manner, contact The Wortham Law Firm at 972-744-0445.